Available for sale is Totally Awesome Hulk #22 that just came back from CGC graded in 9.8 NM/M condition. Featuring the first appearance of Weapon H, this comic has become one of the most sought after modern key issues. Don’t miss out on the chance to add this HOT comic to your collection today! The slab listed here recently sold via my eBay Store for $174.99 shipped. Click here to find others like it! Available for sales is Ultimate Fallout #4 graded by CGC in 9.4 NM condition. This comic features the first appearance of Miles Morales, the new Spider-Man. With the popularity of the Into The Spider-Verse movie, this comic has been getting more than its share of attention from comics collectors both new and old. Don’t pay twice as much on eBay, buy it here at a fair price. It won’t last long. Available for sale is Uncanny X-Men #145 graded by CGC in 9.4 Near Mint condition. This bronze age comic features a classic Doctor Doom cover and is the perfect addition to your graded comic book collection. Buy this comic and proudly say, FIRST! This is the first ever CGC graded issue of Unworthy Thor #5, making it the perfect brag piece to add to your collection of graded comic books. 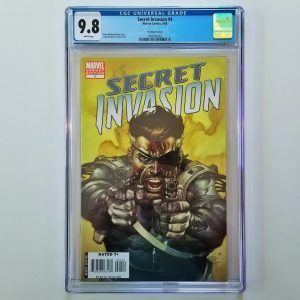 The graded comic listed here recently sold on eBay for $52.99. Click here to find others like it! Available for sale is Venom (2011) #2 graded by CGC in 9.6 NM+ condition. According to the CGC Census, only 78 copies of this issue have been graded in 9.6 condition or better, making it relatively difficult to come by in high grade. Grab this hot Amazing Spider-Man #300 cover swipe today while you can. The slab listed here recently sold via my eBay Shop. Click here to find others like it! Available for sale is this Gabriele Dell’Otto 1:25 Variant of Venom #150 in CGC 9.8 NM/M condition. Venom has always been a hot character, but with the Venom Movie set to hit theaters on October 5, 2018 you can expect demand (and the the prices) for key Venom related comics like this on to go up. Grab this hot slab today while you can! Available for sale is the Francesco Mattina ComicXposure Edition A Variant of Venom #6 graded by CGC in 9.8 NM/M condition. According to the CGC Census, only 65 copies of this variant have been graded in 9.8 condition, making it relatively difficult to come by. With the Venom movie set to come out this fall, you can already see demand rising for related collectible comic books like this one. Grab this hot slab today while you can. Available for sale is this issue of Venom: Lethal Protector #1 in CGC 9.2 NM- condition. Venom has always been a hot character, but with the Venom Movie set to hit theaters on October 5, 2018 you can expect demand (and the the prices) for key Venom related comics like this one to go up. Grab this hot slab today while you can! Available for sale is this issue of Venom: Lethal Protector #1 in CGC 9.4 NM condition. Venom has always been a hot character, but with the Venom Movie set to hit theaters on October 5, 2018 you can expect demand (and the the prices) for key Venom related comics like this one to go up. Grab this hot slab today while you can! Available for sale is this issue of Venom: Lethal Protector #1 in CGC 9.6 NM+ condition. Venom has always been a hot character, but with the Venom Movie set to hit theaters on October 5, 2018 you can expect demand (and the the prices) for key Venom related comics like this one to go up. Grab this hot slab today while you can! Available for sale is this issue of Venom: Lethal Protector #1 in CGC 9.8 NM/M condition. Venom has always been a hot character, but with the Venom Movie set to hit theaters on October 5, 2018 you can expect demand (and the the prices) for key Venom related comics like this one to go up. Grab this hot slab today while you can! Available for sale is this issue of Venom: Lethal Protector #1 in CGC 9.8 NM/M condition signed by Mark Bagley. Venom has always been a hot character, but with the Venom Movie set to hit theaters on October 5, 2018 you can expect demand (and the the prices) for key Venom related comics like this one to go up. Grab this hot Signature Series slab today while you can! Available for sale is the Francesco Mattina Comic Pop Collectibles Variant of Venomized #1 graded by CGC in 9.8 NM/M condition. 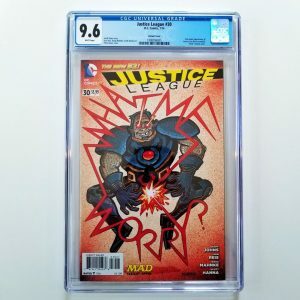 There were only 3,000 total copies of this issue printed, and according to the CGC Census at the time of this listing only 48 have been graded a 9.8. Grab this highly collectible, hard to find slab today while you still can, it won’t be here long! Available for sale is the Lucio Parrillo Virgin Variant of Venomized #1 graded by CGC in 9.8 NM/M condition. 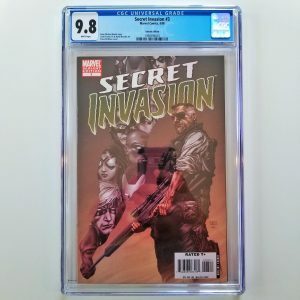 There were only 700 total copies of this issue printed, and according to the CGC Census at the time of this listing only 35 have been graded a 9.8. Grab this highly collectible, hard to find slab today while you still can, it won’t be here long! This slab is currently out of stock. Click here to find one on eBay! Available for sale is this Scorpion Comics Skyline Variant of Venomverse #1 in CGC 9.6 NM+ condition. This cover pays homage to Amazing Spider-Man #700. 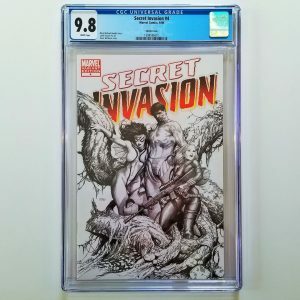 There were only 3,000 issues of this limited edition printed and only a small percentage of them have been graded by CGC to date, so grab yours today while you still can! The graded comic listed here recently sold via my eBay Store for $70. Click here to find others like it! Available for sale is this Scorpion Comics Skyline Variant of Venomverse #1 in CGC 9.8 NM/M condition. This cover pays homage to Amazing Spider-Man #700. 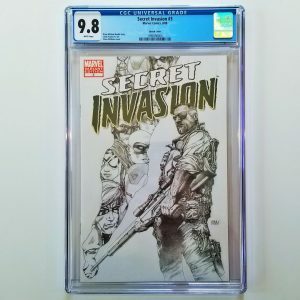 There were only 3,000 issues of this limited edition printed and only a small percentage of them have been graded by CGC to date, so grab yours today while you still can! The graded comic listed here recently sold on eBay for $93.00 with Free USPS Priority Mail Shipping. Find one like it here!